Research from our Annual Bullying Survey in the UK, revealed that 11% of young people asked, had experienced bullying at some point or another from a sibling. 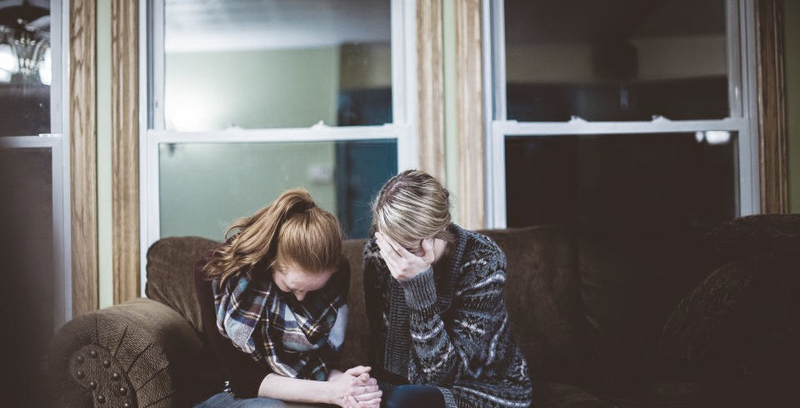 Being on the receiving end of bullying from a sibling can be extremely difficult to cope with as it is often dismissed by other family members as ‘sibling rivalry’, as well as the fact it often takes place in your family home – an environment which is supposed to be a ‘safe space’. It is also an environment where you spend a lot of time, so it can be hard to escape the torment. If you are being bullied by a sibling please do not hesitate to reach out to us here at Ditch the Label – you can speak directly with a digital mentor on our Community platform. Below we have compiled 6 things you can do if you are being bullied by a sibling. 1. Tell your parents or guardian and ask them to intervene. First and foremost, confide in your parents or guardian. If you feel they are being dismissive, assure them that this is more than just sibling ‘banter’ or ‘rivalry’. Be honest with them, tell them how the bullying is negatively impacting on your life. It might be appropriate to request that they host a mediation between you and your sibling. A mediation can be scary but is often incredibly powerful; it is essentially a face-to-face conversation between you and your sibling in a controlled, equal environment. If you find your parents/guardian unresponsive when it comes to intervening, see if their is another trusted family member who you can approach. 2. If it feels safe to do so, speak to your sibling. If you feel it is a safe and appropriate action to take, maybe try talking to your sibling. Remember to challenge the behaviour, not the person – instead of accusing them of being a ‘bully’, explain why their behaviour or words have caused you distress. For example, instead of saying ‘you’re upsetting me’, you could say ‘what you said/did upset me’. Remember that it is always the person who is bullying who has the issue, not you – even if the person bullying you is related to you. It is in no way your fault; people experience bullying not because of their sexuality, gender identity, race, appearance, disability or any other unique factor; it is because of the attitude towards the factor. The only thing possible to change is attitudes – you are perfect the way you are. 4. If possible, spend time away from your sibling. It might be difficult if you live together, but try and find a space in your home where you can have time away from your sibling. If you have separate bedrooms, lock your door and speak to your parents/guardians about why you feel the need to do this, so they understand your actions and reasons. It is important you have space where you can totally relax and be yourself. If you are unable to implement this at home, look for local youth clubs you can join or speak to a trusted, extended family member or friend and see if you can spend more time at their house. You could also confide in a teacher, who could then speak to your parents/guardian about what you are experiencing and help find a solution. 5. Reach out for support. It is extremely stressful, and can be emotionally draining and taxing to endure bullying, especially if it is by a sibling. This stress can have impact on all areas of your life, including your mental wellbeing, ability to communicate with others, performance in school, self-esteem etc. It is therefore incredibly important to tell somebody that you trust about what you are going through; it doesn’t even have to be an adult – it could be a friend or somebody at Ditch the Label. It is vital, during a traumatic time, that you have a support system and people who you can rely on when you are feeling low, or unable to cope. It is important during this time, that you take good care of your health and mental wellbeing. As well as finding a support system, you need to make sure you are looking out for yourself too. Little things like eating a balanced diet, working out, getting a good night’s sleep, relaxing and having quality time with friends and family can really improve physical and mental health, which will in turn, reduce stress. Reductions in stress increase your clarity of vision, allowing you to better analyse difficult situations, which will make them much easier to deal with. We also suggest that you seek emotional and mental support from a GP, therapist or counsellor.